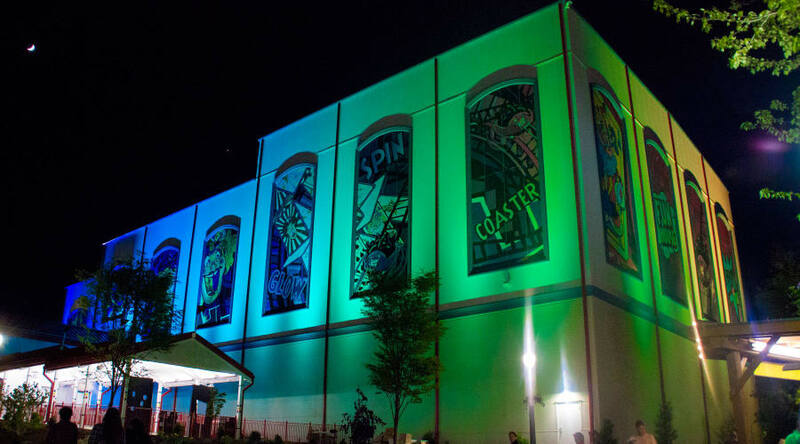 Laff Trakk℠ coaster is the first indoor, spinning, glow-coaster in the United States. 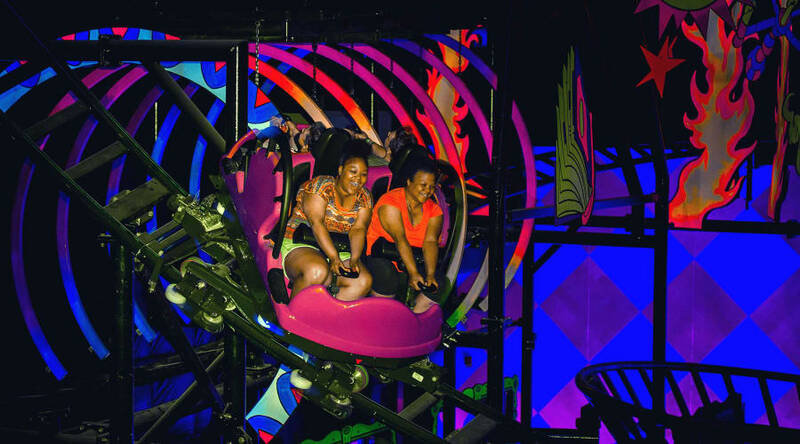 This family friendly house of laughs spins riders through an exciting adventure of sights and sounds complete with glimpses of colorful characters, a dizzying hall of mirrors, and more! 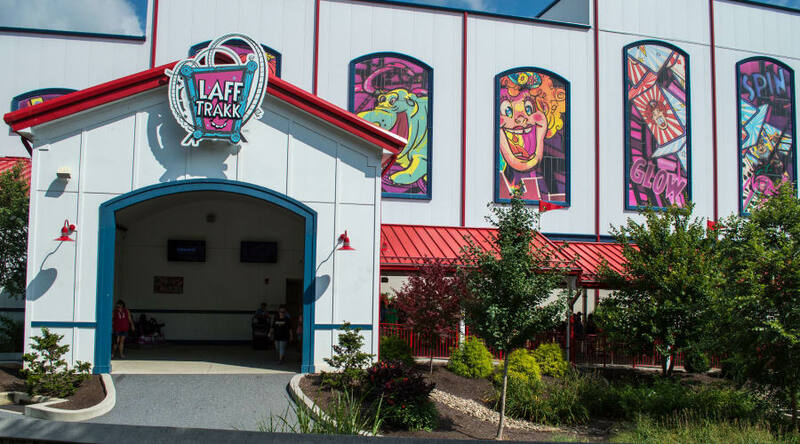 Laff Trakk is the fun house of the 21st century offering a new experience with every ride. This ride may not accommodate guests of a larger size (height and/or weight) due to the configuration of the safety restraint system. The combined weight of the riders in one ride vehicle may not exceed 705 pounds. Due to the design and sensitivity of the safety restraint system, persons taller than 6 feet 4 inches may have difficulty riding. Guests under 5 years of age may not ride.